Prof. Ko, a world renowned sculptor, is an expert in fluid dynamics and acoustics and a pioneer in the control of noise pollution in Hong Kong, who has published more than 240 research papers. 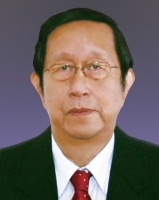 He is now Emeritus Professor at The University of Hong Kong and Honorary Professor in its Department of Mechanical Engineering. Widely recognised as an artist, he staged his first-ever one-man, outdoor sculpture exhibition in Hong Kong as the grand finale of the PolyU Arts Festival in 2009, and served as Artist-in-Residence at PolyU in 2012.